We have the absolute pleasure to announce that Lollo Meier will be joining us at The Garlic Farm restaurant for an intimate dinner & concert on 19th March 2019. 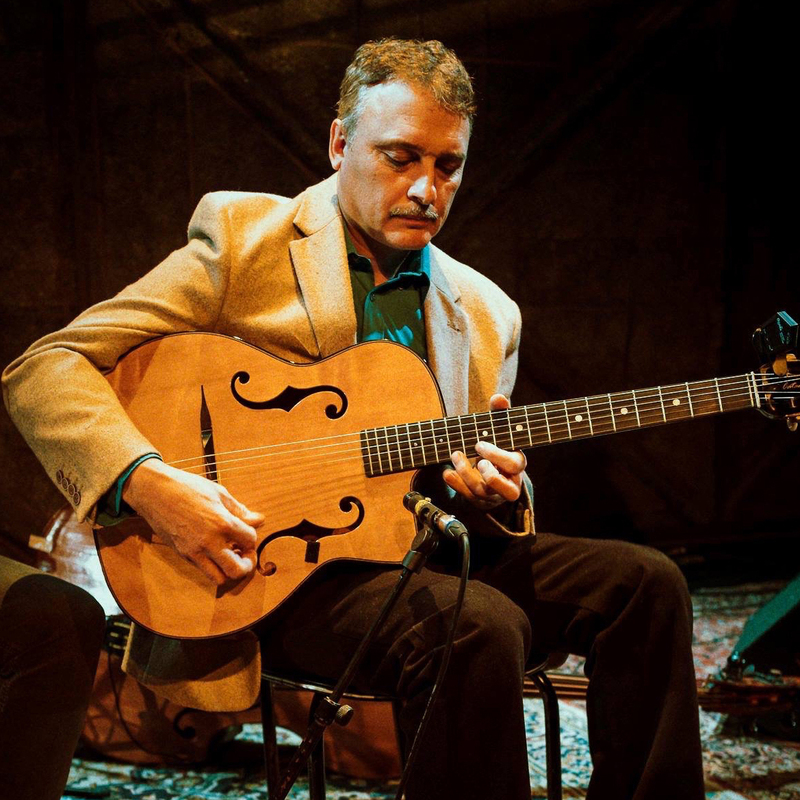 Lollo Meier is a legendary Dutch Gypsy Swing guitar Master, composer, bandleader and arranger, Lollo comes from an elite family of Gypsy players. His goal: to carry on the music of Django Reinhardt. His Quartet is sought after around the globe for private functions and renowned jazz festivals, famous for playing lesser known Django tunes and his own compositions. A three course set-menu supper will be served in The Garlic Farm Restaurant from 6pm to 8pm followed by the concert from 8pm. £35 per person including three courses & concert. Please purchase your tickets here or call us on 01983 865378 to book.